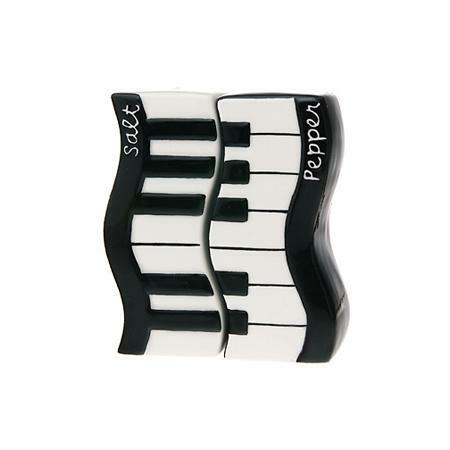 Piano Salt & Pepper Shakers – This set of Piano Salt & Pepper Shakers make a great addition to any piano player’s home! The classic black & white design of the piano keys is sure to fit with any kitchen decor. A unique gift for the pianist in your life! Ceramic. Approx. 4″ H x 3.5″ (together). Awesome Piano Gifts at Drum Bum!